Open this pod of Playfoam® and find a surprise inside! Hidden within each pod, kids will find an animal friend. 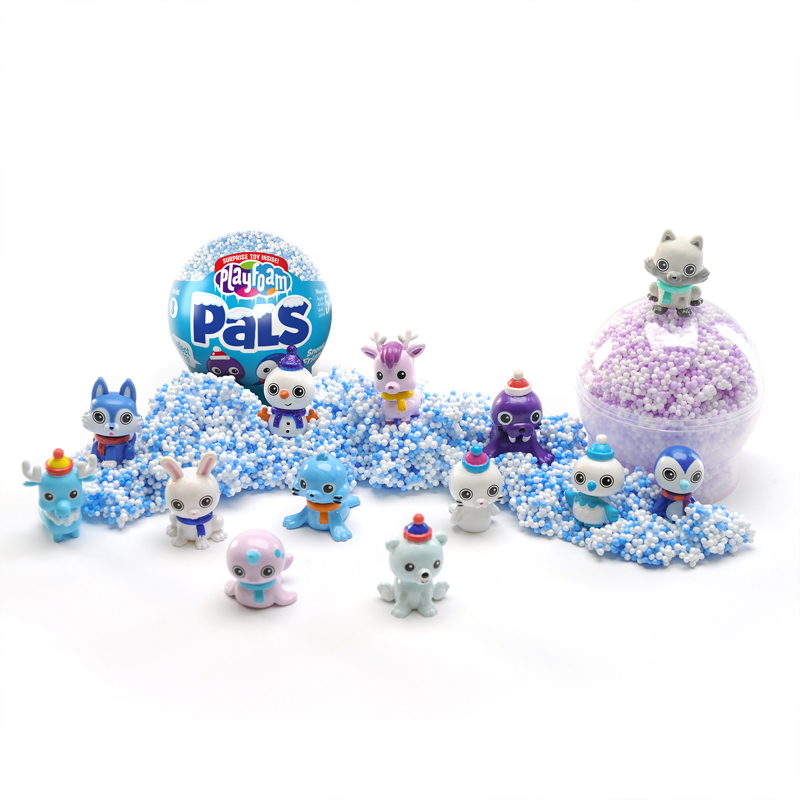 Pop your new pal apart and swap its head and body with pieces from other Playfoam Pals collectibles to create combination critters of your own! 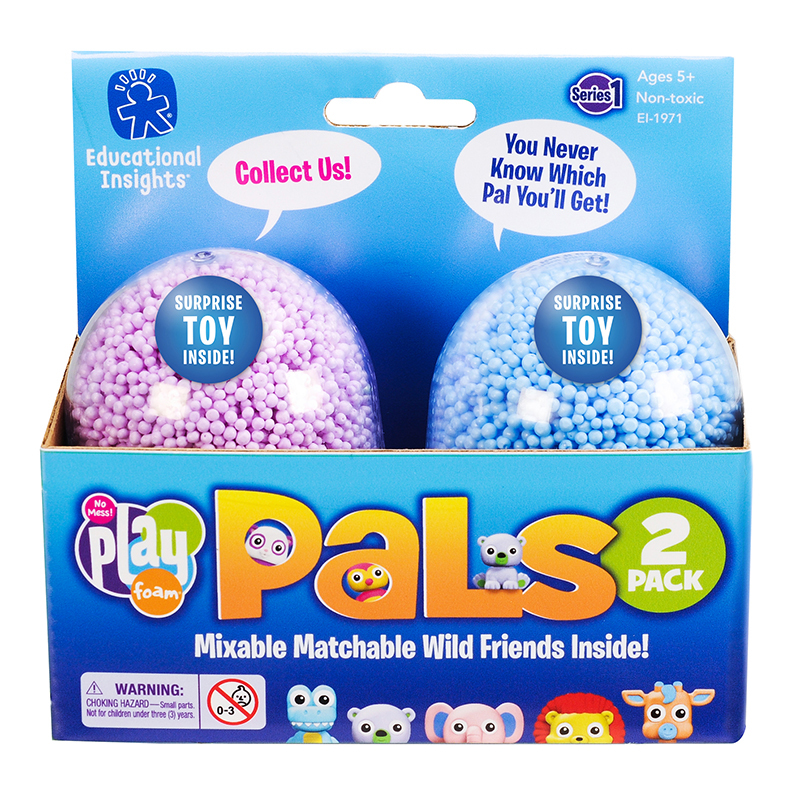 Collect all 12 Playfoam Pals pods to find the super-rare endangered animal critter, and use the squishy, squashy pods of Playfoam in each pod to sculpt nests, beds, perches, and other play props. 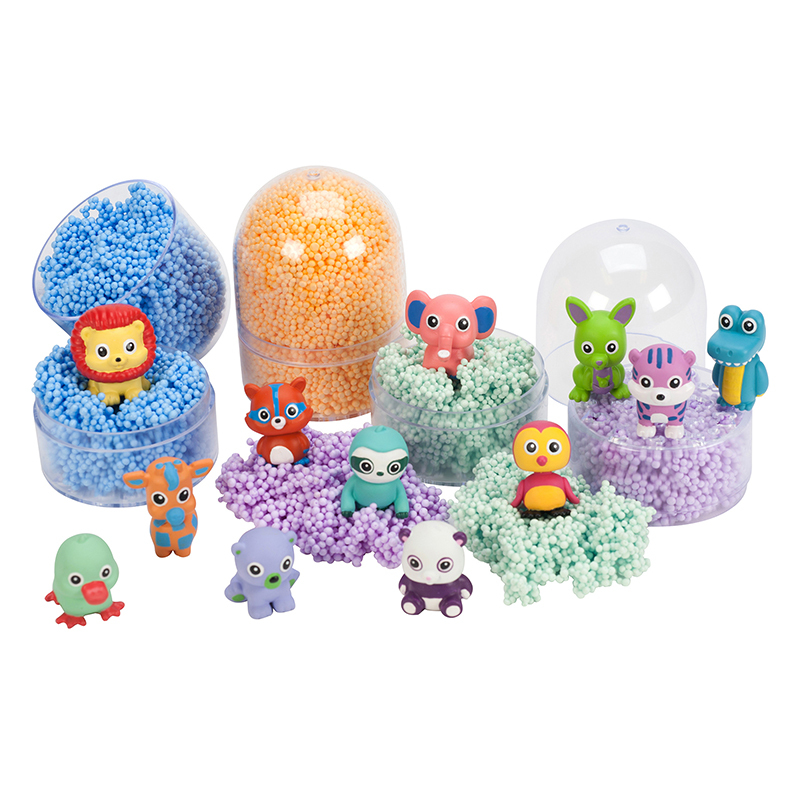 The Playfoam Pals Display 12 Pcs can be found in our Foam product category within the Arts & Crafts. "Open a world of Playfoam and find a surprise inside! Hidden within each mystery pod, you will find a collectible (and totally adorable) animal Pal! Use Playfoam to create out-of-this-world habitats and more for squishy squashy play that never dries out, so the fun never ends! Collect all 12, and maybe you’ll be lucky enough to find one of the ultra-rare golden Pals! Ready? Set? PLAYFOAM! Possible Color Transfer: Playfoam may transfer color stain to fabric, carpet, and plastic. Keep away from open flame." Open a world of Playfoam and find a surprise inside! Hidden within each mystery pod, a collectible wild animal Playfoam Pal awaits. Use the Playfoam to create accessories, habitats and more - again and again! I actually purchased these several years ago but at that time they did not include the figurines. At the time my son enjoyed them mildly but the foam soon ended up in the trash. Fast forward to this new batch and wow, I can't believe how much more interested he is in this toy now that they include these cute little plastic toys, hidden in the center of each foam color. The figures are cute because the heads pop off and you can mix and match them to create "super hero" or "magical" creatures. In our 6-pack we received 3 gold figures and 3 regular multi-colored figures. The foam never dries out and that makes it a big step-up from playdoh and clay options. We just store ours in a large zip-lock bag for convenience. Also, the texture is soft and fluffy and nice and easy for young children to work with, contrasted with clay which young hands can really struggle to shape. The only difficulty encountered with these is that it was quite difficult to open the tubes. I actually had to go search an unboxing Youtube video to figure it out. They twist apart at the point beneath the tape wrapped around the bottom center of the tube. My son has spent hours and hours playing with these and I plan to order another 6-pack to give him a chance to collect more figurines.